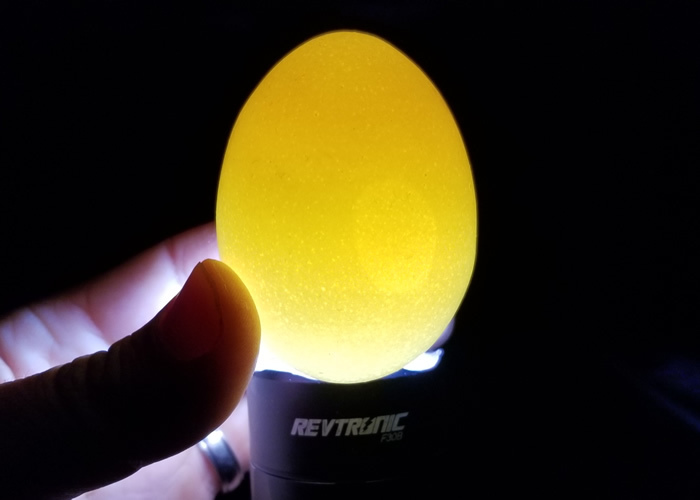 Egg candling is a neat, cheap, and easy way to discover what is happening inside the egg, but how do you do it? Here you will find the complete guide on what candling is and the when and how to perform it. 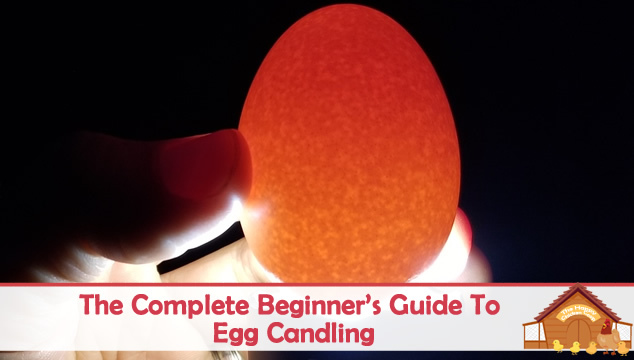 I will also explain away some of the mystery behind candling and to help you get proficient at this skill which is extremely useful when you are incubating and hatching. Do you have to candle an egg? No, really you don’t, but if you can, it takes some of the guesswork out of hatching and can help you to improve the chances of subsequent hatches. If in the past you have had problems with bad hatches, candling can sometimes help to see what goes wrong and give you some ideas to try to fix the problem for subsequent hatches as well. What Is Candling And Why Do It? Candling an egg allows you to see in a limited way, what’s going on inside an egg at particular points along the way to full development. It is not a fail safe way to tell what’s happening inside the egg, but using your finely tuned observational skills, you can get a pretty good idea of progress or problems. Candling can give you an idea if the egg is progressing or whether there is a problem. As its’ name implies, originally candling was done with a candle! Nowadays it is done with a small powerful light that can be shone against and through the eggshell. There are several different types of candler depending on what you want or need. We have a top pick section for you later in the article to help you pick through the numerous choices available. As tempting as it may be, try to not candle daily. It can possibly influence growth and development from repeated interruptions. Do not leave eggs out of the incubator for longer than 30 minutes. Exactly how much you can see is limited in most cases. As an example, it is highly unlikely that you will see anything happening inside the egg before Day #4. We may think that 21 days to hatch is really fast (it is), but the changes happening inside the egg are small and difficult to monitor on a day to day basis even though they are continuous. 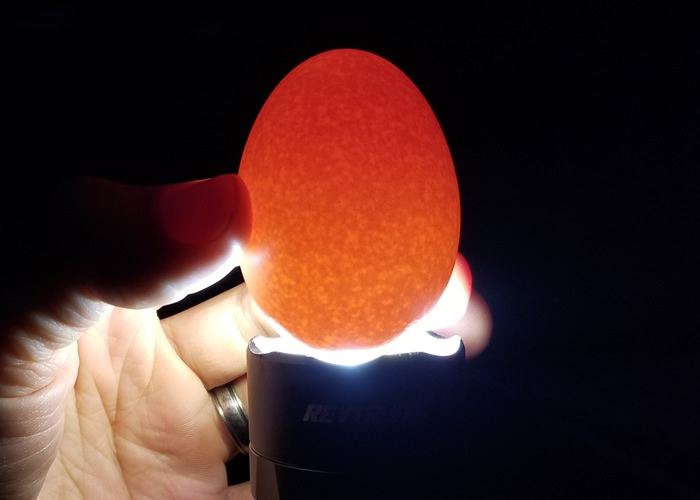 Eggs that are particular dark in coloring – Black Copper Marans or Welsummers spring to mind, are incredibly difficult to see because of the darkness of the shell pigment. These types of eggs need a lot of practice to get proficient in ‘reading’ them. Blue or green eggs can also cause some difficulty in reading them because of the pigment being inclusive in the shell. Candling will not tell you if the egg is fertilized until Day 4 or so when the veins start to develop. Using a regular pencil – no marker pens etc. the toxins can leach through the shell – you can mark the eggs as you desire. I usually number them 1 -12 etc. Other things you can mark on the shell are the size of the air cell, which breed, color. Keep a notebook and make frequent notations on your eggs, this way you can determine if you need more humidity, less humidity or note any other thing that may occur such as early demise of the embryo, power outage or even unusual weather events. Believe it or not, but the weather can exert subtle effects on the hatching eggs. There are some definite high points along the journey to hatching. 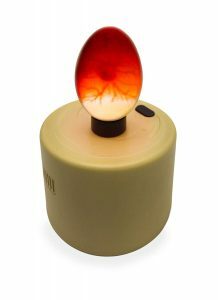 If you candle regularly, you will become very proficient at seeing these stages and judging how the egg is progressing. To candle properly you will need your candler and a dark room, the darker the better, it will help you see the egg contents. The first time you will candle the egg is when you set the eggs in the incubator. Why? You need to know that all the eggs going in are intact and free from micro-cracks in the shell. Cracks or hairlines in the shell allow bacteria in to the egg contents which are an ideal breeding ground for bacteria – this is where you get exploding eggs! Any cracked or ‘iffy’ eggs should be discarded. Any eggs that are wrinkled, deformed, too pointed or too round should also be discarded – they can lead to hatching difficulties. All eggs should be candled prior to setting. Day 4/5– by now you should be able to see tiny hair-like veins spreading through the egg. If you can’t, don’t worry, put the egg back and re-candle at Day 7. If you can’t see anything, don’t be discouraged yet – patience! Day 7 – should show an increase in the size of the vein web. You should also see the start of the air cell at the blunt end of the egg. Try to candle all the eggs at Day 7. Day 10 – things are getting exciting now! The chick has filled up a lot of the space, the air cell has expanded and you can clearly see the eye. The eye is a large black blob – very large at this time. You may see some movement too! Day 17 – you won’t see much happening here. The chick has filled all available space and is slowly moving into hatching position. Avoid moving the egg around too much as the chick needs to orient itself ready to pip. Day 18 – no more candling! 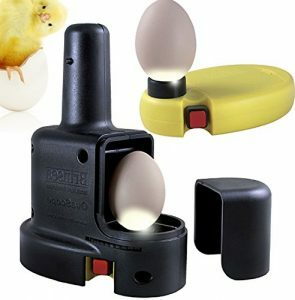 Your eggs are now on lockdown. Remove the automatic turner and set the eggs in position. The rest is up to the chicks. As you are learning the new skill of candling, you will be surprised at how easy it all becomes after a relatively short period of time. The secret to your success will be keeping good notes on each and every egg. You should note the temperature and humidity of the incubator, day #, air cell size in your note book. Some folks note the ambient temperature and humidity too. Perhaps one of the most important pieces of information is the size of the air cell. We have talked about this briefly in other articles, so we will expand a little here. 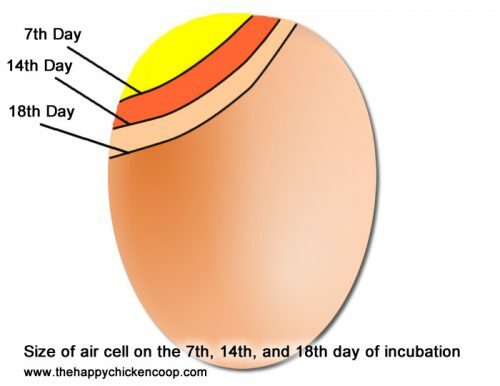 Regardless of whether you decide to do a ‘dry’ hatch or a ‘wet’ hatch, the air cell inside the egg needs to expand sufficiently to give the chick enough air to breath prior to external pipping. The egg will need to lose 13-14% of its’ total weight by Day 18 (lockdown). This should ensure there is sufficient air for the chick to breathe when it pips internally. If you have been able to separate the eggs into individual layers that is most helpful, especially if you suspect your hens or rooster aren’t fertile. 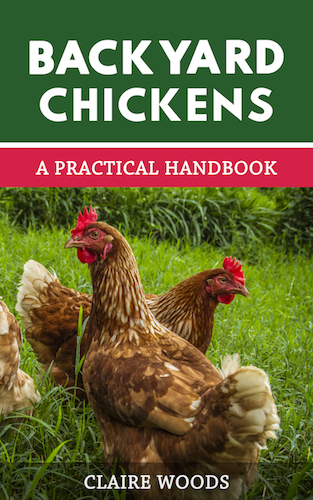 A reference book such as Ms Damerows ‘Hatching and Brooding your own chicks’ is an excellent resource to help determine what went wrong. There is a whole chapter devoted to determining what went wrong and how to improve your success in future hatching’s. These are eggs that for whatever reason have stopped developing and the embryo has died. Often you will see a fairly thick red ‘blood line’ when you candle. These embryos die further along in the incubation process and using your newly acquired detective skills, you will be able to eliminate some causes of death. Very occasionally, you might find that several of your chicks hatched and then died once they had pipped. This is usually caused by too high a temperature in the incubator or leaving the chicks for too long after hatching inside. Shipped eggs can be prone to a lot of problems and the hatch rate of shipped eggs is around 75% on average. When shipped eggs arrive, check them over for cracks etc. put them aside pointed end down and let the egg settle for at least 12-24 hours. Oftentimes the air cell can get broken up in transit and ends up looking like a saddlebag. Sometimes this air cell can coalesce back to its’ original size and form, sometimes not. 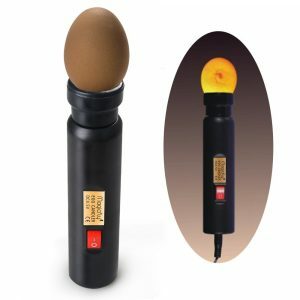 You can spend less than $5.00 on a small flashlight that will do a good job of candling, or you can spend a lot of money on a high end article that can photograph the eggs for you. If you are doing this as part of a school project or you want to hatch out multiple eggs it may make sense for you to invest in some good quality equipment. As I mentioned at the beginning of this article, you can make your own candler using an LED flashlight and a piece of cardboard. This can save you a lot of time and a little money too. 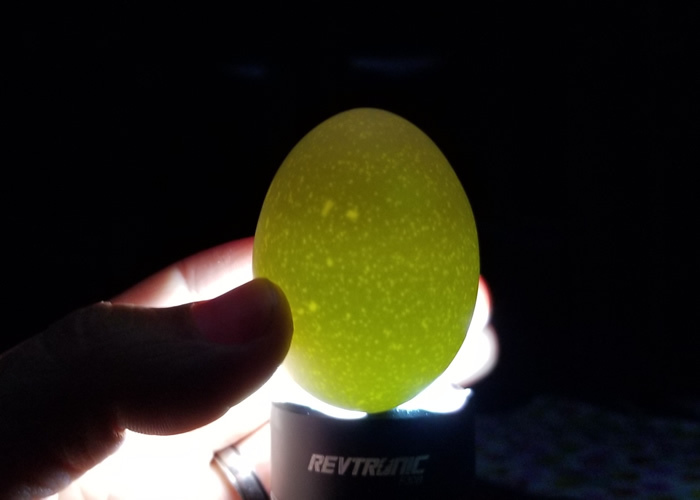 I have provided examples of using a 800 lumen flashlight on white, brown, and blue eggs below. Here’s a short video on ‘how to’ candle as well. Candling can be fun and interesting, especially if you have kids. It’s also a skill that will help you with your hatching proficiency in years to come. The initial learning curve of learning to candle can be frustrating but stick with it – it really does become easier with practice! When hatching eggs, make sure you only hatch like with like. 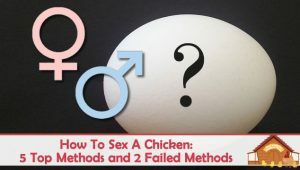 You really cannot successfully hatch chicken eggs with duck, turkey, quail or others. 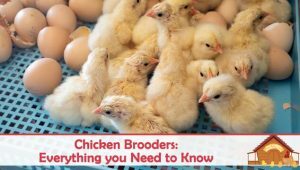 Each egg has its’ own time frame for hatching and juggling around two or three different types of egg in one incubator is not likely to be a resounding success for you. Good luck with your candling and hatching! Once they hatch be sure to read our guides on raising chicks here and here.